Fort Gin Review: Mighty Fortress or Crumbling Ruin? Portsmouth! Following last week’s account of our adventures at Portsmouth Fish Market, we’re back to Pompey today — but this time we’re swapping fish for fortifications. Specifically, Fort Gin (£31.95, Master of Malt), which is made by the Portsmouth Distillery. The name Fort isn’t arbitrarily chosen: the distillery occupies one of Portsmouth’s old naval fortresses — designed, I suppose, to ward off whatever bunch of undesirables Portsmouth was worried about at the time. I had my first gulp of Fort Gin at a tasting here in Petersfield, organised by the lovely General Wines. 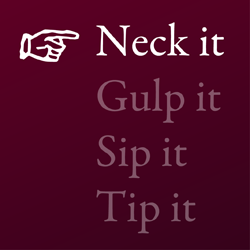 But a gulp was not enough. On the back of that gulp, I went to General Wines’ shop and bought a bottle of the stuff. Fort Gin, you see, is bloody delicious. This is so smooth a gin that you can very happily sip away at it without any tonic or other accoutrement, pretending to be all mannered and sophisticated. Because that’s how society regards people who drink gin neat, isn’t it? It’s smooth and it’s sweet. I don’t mean actually sweet in the sense of being sugary, but the botanical elements give it a powerful impression of sweetness. There’s definitely juniper there, but there’s also a lot of (warm, aromatic) spice, which we’ll talk about more below. As usual, I’ll burble a bit about how Fort Gin tastes in three contexts: the G&T, the Negroni and the Martini. But I do suggest you try this bugger on its own too. Right. You need to use a light tonic here. Fever Tree Naturally Light is the one I’d suggest. And don’t you go sloshing it into your glass like a maniac. Because this gin needs remarkably little tonic to reach its ideal balance, in my view. Try it with 1:1 ratio and see what you think. The Fort G&T is bloody good. It has that delicious creaminess of toasted nuts (almonds or cashews), and while there’s plenty of juniper to keep us anchored, the dominant flavour I taste is cardamom. Which is good, because I happen to like cardamom quite considerably. There’s also coconut and plenty of floral shenanigans going on. In concert, those flavours gel beautifully, as they might in, say, a South Indian curry. Double down on that, I suggest, by chucking a wedge of lime in there. Sodding delicious. A benefit (or danger) of the fact that Fort requires so little tonic is that you can get a good few drinks from a single Fever Tree mini-bottle or can. You’ll get through them quickly, I’ll warrant. Hmm. This one’s a bit weird. The negroni context amps up the sweetness already present in Fort Gin, which isn’t really called for. What’s more, adding cardamom to the negroni’s already crowded flavour profile turns it into a bit of a riot. It’s still nice, I should say, but rather all over the place. You don’t get the benefit of Fort’s elegance and subtlety, here, that’s for sure. It does have a rather lovely creamy aftertaste though. Personally, I’m not sure you’d want to spend over 30 quid on a bottle of Fort Gin only to use it to make negronis. Christ, this is smooth. Smooth and sweetly floral. Rose. Soft cinnamon. Vanilla. Cream — oh god, cream. A Fort Gin Martini is alarmingly easy to drink. It makes a martini that slides down your throat in the sweetest, softest, most beguiling way. It’s rather a long way, then, from the typical experience of this noble cocktail: if you’ve read me blathering on about the perfect martini, you’ll know that my platonic ideal of the martini is a pretty punchy piece of work. A Fort Martini, though, caresses rather than thwacks. It’s, as I may have mentioned, extraordinarily, creamily smooth. It makes an extremely accessible martini. It is not standard Parn issue stuff, but it is bloody delicious nevertheless. Serve it with lemon twist, for god’s sake; an olive in this context would be barbaric. I tried it with Blackdown Vermouth (£20.15, Master of Malt — made in neighbouring Sussex; review in the works) and the result was almost indecently floral. Genuinely quite extraordinary. I also tried it with my staple, Dolin Chambery (£10.49, Waitrose). I prefer it with the more austere and pared-back Dolin: I don’t think Fort Gin needs extra florality and sweetness, and the Blackdown slightly over-eggs a pretty damn deliciously eggy pudding. The Dolin keeps it in better balance. In summary, then: this is a very fine gin. If you prefer your gins trad, or aggressive — or if you don’t like cardamom — it won’t be for you. 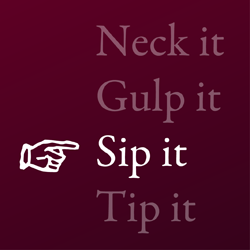 But otherwise I urge you to give it a gulp. Hole yourself up in your fortress, mix up a martini, sit back and enjoy the siege. Enjoyed this post? Why the heck don't you subscribe, then, you apathetic bugger?